New Zealand’s music will be showcased this week on Hawaii Public Radio’s Morning Café. 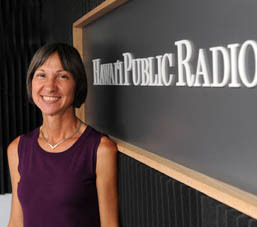 Host Joan Canfield will introduce Hawaii listeners to a range of composers, from Lilburn to Anthony Ritchie. Of particular interest to the Hawaii audience will be the close connections between Maori and Native Hawaiian culture and sensibility, with abundant use of themes from nature by NZ composers. NB: These times are for Hawaii. This will be 6:30am-8am Friday 17th September in New Zealand.